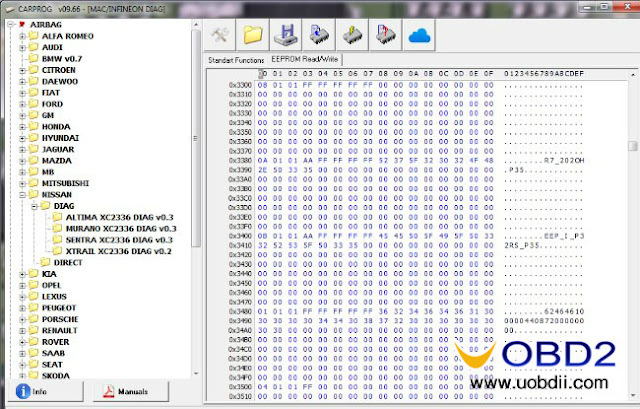 If "crash data" is stored (errors B142x - collision detection is stored in DTC memory) - data flash reading is not possible !!! This function is recommended to use for backup data flash from working airbag sensor. Carprog software is included in CARPROG AIRBAG FULL or CARPROG FULL Perfect packages. 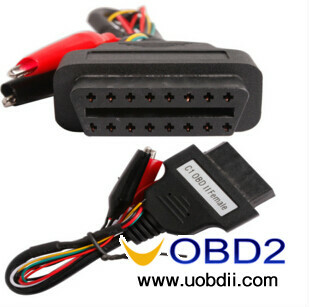 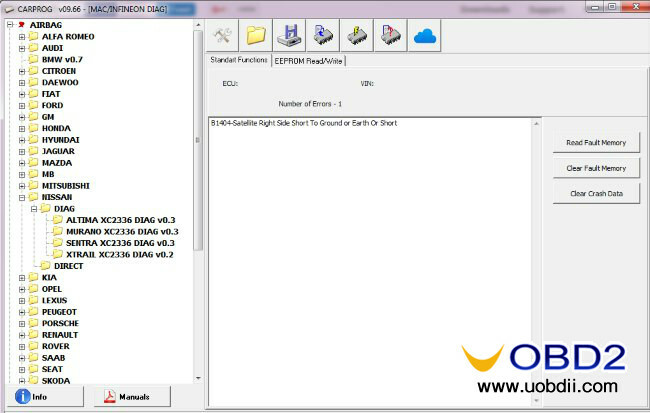 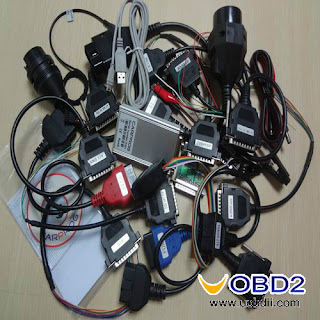 Caprog v9.66 is customer share and uobdii engineers need more test with it and release soon. 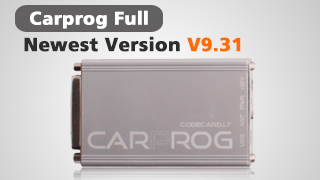 CarProg full v9.31 and v8.21 are verified to reset nissan airbag well.